What if you could not fail? Home / Blog / What if you could not fail? Carol S. Dweck, Ph.D., is one of the world’s leading researchers in the field of motivation and is the Lewis and Virginia Eaton Professor of Psychology at Stanford University. Her research has focused on why people succeed and how to foster success and her best selling book is called Mindset. It has a simple premise and if you look at the picture here on the right and ask yourself one question, “Am I a growth mindset person or a fixed mindset person?” It’s not a judgment of you personally by any means but rather something to consider in how you are approaching your animal rescue activities. Her book is a fascinating study of how we have been influenced even in childhood into a fixed mindset as a default setting. 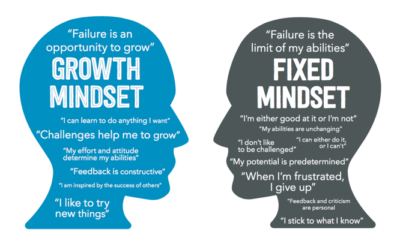 While many people tend to gravitate more towards the growth mindset naturally, others need a nudge to consider how things would be different if they changed their mindset. Comment and share your vision of what you would do if you knew you couldn’t fail.